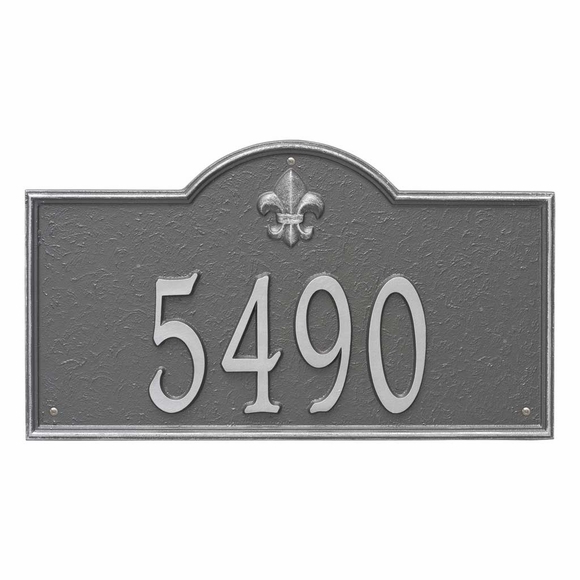 Fleur de Lis Address Plaque - 1 Line Address includes the address number you supply and fleur-de-lis emblem at the top. Displays the street number only. Made in USA. up to six (6) 3" characters for medium size sign. up to six (6) 4" characters for large sign. Dimensions large: 21"W x 12"H x 0.375".